We talk to George Saunders about his Man Booker Prize-winning novel Lincoln in the Bardo, which blurs the line between the living and the dead. Lincoln in the Bardo, by renowned American short story writer (and Buddhist) George Saunders, is surely the first major novel to use the Tibetan word bardo in the title. 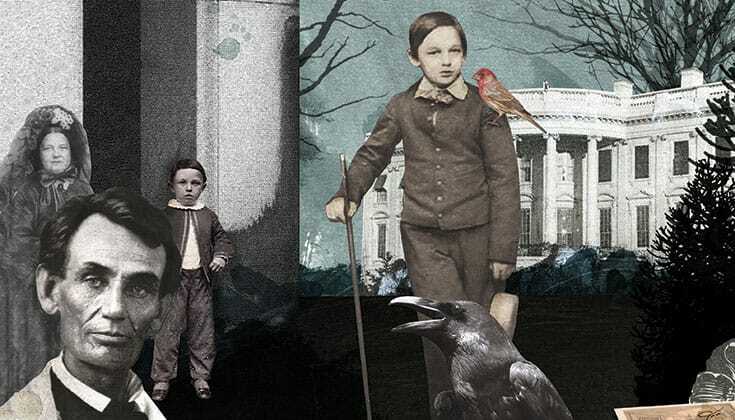 The Lincoln who is in the bardo—the realm between death and rebirth—is Abraham and Mary’s son Willie, who has just died in the White House at the age of eleven. The book is a tragic father-and-son story—Abraham lost in grief, Willie lost in a ghostly and confusing realm—told simultaneously from two points of view: the living and the recently dead. 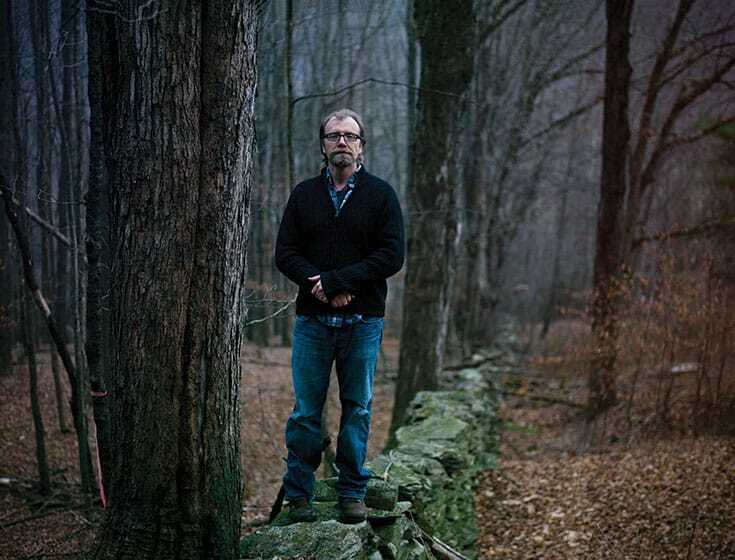 I spoke to George Saunders about this unusual and thought-provoking meditation on love, loss, and the very nature of life and death. Melvin McLeod: How did the idea for this story come to you? 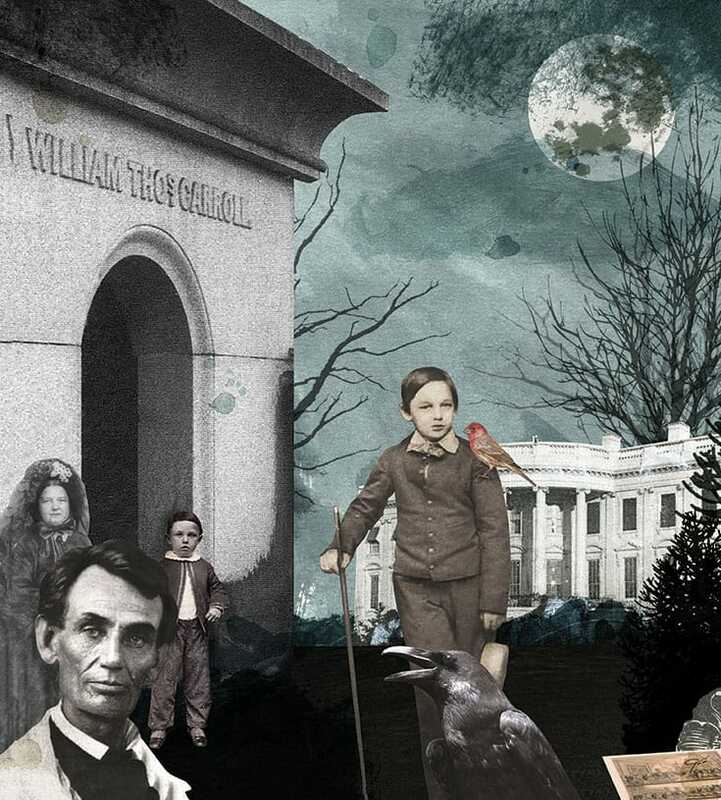 George Saunders: Many years ago I was driving with my family on Rock Creek Parkway in Washington, and my wife’s cousin pointed up to a graveyard and said that Lincoln’s son Willie had been buried there during Lincoln’s presidency. She described this beautiful, haunting detail—that the newspapers of the time reported that Lincoln was so grief-stricken he’d gone into the crypt on several occasions. 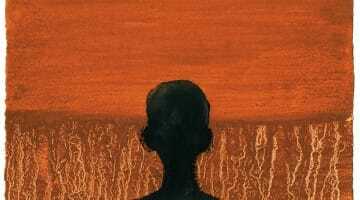 The “hilarity,” as you call it, is a parallel story line that takes place among characters in a kind of purgatory that’s referred to in the title as a bardo. All of fiction is contained in that phrase, “Hilarity ensues.” How does the hilarity ensue? One of the first problems was how to write a novel with only one living person in it. If you were sitting there watching, Lincoln would rise at night, go into the crypt, come out, and leave. That’s the whole arc. So I struggled with a few different approaches. One was just an internal monologue, which didn’t seem that interesting to me. But years earlier I had started and abandoned a book that was set in an upstate New York graveyard. The idea was that a bunch of dead people from the community who were kind of stuck, or ghosts, would be kind of cross-talking back and forth a little bit. So when I got into this Lincoln book, I thought, well, who else is going to be there? Maybe ghosts or spiritual beings. I’d been reading some Buddhist texts and was aware of the bardo as a sort of transitional state between the moment when you die and the moment you’re reincarnated. That struck me as an interesting way to destabilize the usual ghost story, to say, well, they’re not really ghosts, they’re something else. Then the book becomes a way to see what they are, what’s holding them there, what their limitations are, what their capabilities are, what their desires are, and so on. The title uses the word bardo, but the realm these characters inhabit is quite different from the experience described in texts like The Tibetan Book of the Dead. As a writer, my goal was to try to create an afterlife that was funny and unexpected and terrifying in some way that we hadn’t seen before. Before I started, I did a lot of reading about what different religious systems think happens right after death. 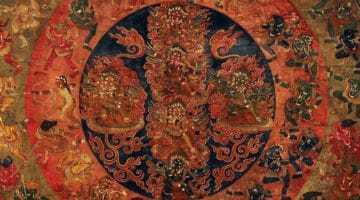 I thought the realm described in The Tibetan Book of the Dead was really rich and beautiful, but when I tried to drop the characters into that realm it was sort of strangely static. It was like when you’re a kid and the church tells you exactly what heaven’s going to be like. You feel it would be a little disappointing if it were exactly like they described it. I’m sure that whatever happens after you die, it’s going to be surprising. So what I tried to do in creating this afterlife realm was not so much to be accurate — because who knows? — but to reflect the kind of disorientation and stress that a person would feel. I’m sure that whatever happens after you die, it’s going to be surprising. Even if what you’ve been told is largely correct, it will probably have a different flavor than you expected. These characters are, in my imagination, a small subset of the greater population of the dead. They are the ones who are unable to go on to the next thing, whatever that is. Some of them are unhappy, lustful, resentful, crestfallen, and confused about what’s actually happened to them. They’re a group of people who are, for whatever reason, stuck in that transitional realm. They act as kind of a Greek chorus at the intersection of the human realm and the ghostly realm they’re stuck in. They’re observing Willie, observing Lincoln, and observing one another. They’re a little confused when Willie arrives, because in the world of the book, he’s not really supposed to hang around there. Kids aren’t really safe in that realm. They experience a strong pull to do the natural thing, which is to go on to whatever the next step is. In order to stay, they have to constantly perform recitations to remind themselves of who they are, maybe a bit like what we do here in the human realm. They’re constantly reinforcing who they are and why they’re justified in staying. Some of them have been there for twenty or thirty years, and over the years that’s diminished them a bit. They’re not full consciousnesses. So it’s kind of sad. Also, they’re very interested in the living, because they have the feeling that they used to be in the higher realm of full beings and now they’ve been somewhat demoted. They’re very interested in whether they can have any effect on the thought streams of living people, and they all entertain a slight hope that someday, if they do everything right, they’ll be reinstated to the human realm. But they’re all kind of confused and only partially aware of the situation there. I love the idea in the Tibetan texts that when we’re here on earth, the body dampens the mind’s erratic power, like a horse on a tether. But then when you die the tether gets cut. So who do we have in these bardo beings? We have a bunch of neurotic beings who are self-obsessed, completely convinced they’re correct, prefer their version to everyone else’s, and believe they’re at the center of the universe. That’s no different from human beings. They’re just like us, but more so. I love the idea in the Tibetan texts that when we’re here on earth, the body dampens the mind’s erratic power, like a horse on a tether. But then when you die the tether gets cut. The mind becomes immensely powerful, but it’s also habituated to the ways it was been used during life. So they’re kind of humans on steroids, but dead. They’re trapped, because they’re denying nature in a way. They’re not supposed to be pausing at this graveyard and if they stay there too long bad things happen to them. This has an uncanny resemblance to what we learn in the Buddhist teachings. We’re also trapped because of our habits of mind, but that there are certain practices and ways of thinking that might lead us out of our current trap. It was interesting to see that same thing enacted within this imaginary ghostly community. George Saunders. Photo by Damon Winter / The New York Times / Redux. In the Tibetan teachings, it’s said people get stuck in the ghost realm because they don’t recognize or won’t accept that they’re dead. They won’t accept that they have died, while we won’t accept that we will. That’s right. They mistake their consciousnesses for actual, solid reality, which is sort of the joke. Reading the book, you know that they’re immaterial and they’re being produced by their own neurotic habits of mind. You know that about them, but maybe you’re not sure about that truth about yourself. In writing a book that takes place simultaneously in two realms of existence, are you trying to say something to the reader about the nature of life and death? to minimize my intentionality and just see where the story leads me. Nothing about themes, nothing about character development, nothing about philosophy. The best thing for me is to start with some small, fascinating nugget. In this case it was that mental image of Lincoln with his son across his knees. If I can just get that much — an image that produces a lot of curiosity and a kind of artistic joyfulness — then I just trust it and dive in. Writing this book, the thing I found myself most interested in was a question we all have to contend with. On one hand, we are born wanting to love and most of us are lucky enough to find it. And as I get older, it seems to me that the whole point of this life is make yourself more loving and less selfish. So that’s all well and good. But as you get older, you’re also faced with the fact that this is all finite and conditional. That’s a really crazy kind of one–two punch that life gives us. So you have this very soulful, spiritual person in Abraham Lincoln. He is at a time in his life when he was arguably as wide open as any human being in history. He is so unobstructed. But he’s in a lot of trouble in his job — the country is going into the ditch and tens of thousands of people are dying every day — and then his favorite son dies suddenly. This story is a beautiful way to ponder an issue that is getting more and more important for me as I get older. In 2014, you received a lot of attention for a lovely little book based on a middle school graduation speech you gave that extolled the virtues of kindness. If you were to give a speech about kindness now, would it be different? I think I would expand it into a kind of a more muscular form of kindness. What is kindness? Let’s say that it means being maximally beneficial to anyone we can help. That doesn’t necessarily mean idiot compassion. It might mean having a stout spine — pushing back, protecting people. Kindness has a large component of awareness, a large component of compassion, and also a large component of fearlessness. One thing that spiritual practice and writing have in common is the desire to suspend the moment of judgment. Sometimes I default to niceness because it’s easier. In my life, kindness can sometimes be a get-out-of-jail-free card. You see somebody who is abusive or aggressive and you think, well, if I just smile at them, that’s enough. I don’t think that’s true and I don’t think the Buddhist teachings say that. 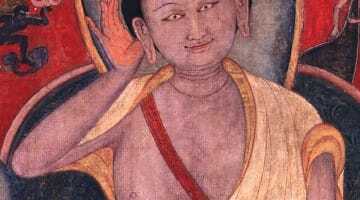 There are many examples of great Buddhist teachers who have been quite ornery and unafraid of confrontation. At the same time, one thing that spiritual practice and writing have in common is the desire to suspend the moment of judgment. Keep the lens open as long as you can. Wait to act as long as you possibly can and get as much uninflected data as you can. And maybe even as much love as you can. Then, when you really have to act, you’ll be acting from a much solider place. It’s quite a powerful thing to do — to be confident enough to let all the data come in before acting. You have said that kindness or compassion toward your characters is an integral part of your writing process. In early drafts you can paint a cartoonish or condescending picture of a certain type of a person. When you do revisions, that offends you on a language basis, so you tighten it up. And in tightening the language up, you improve your vision of that person. In the same way, compassion might just be that act of reconsidering somebody with you concepts turned way down. For me as a writer, that is a language-based thing, but I sometimes feel it bleeding over in to my real life. I’ll have a quick idea of who somebody is and a quick projection will arise, a dismissive or negative thing. Then I can check that in a real-life revision process and note that that is projective, vague, unspecific. That’s a real gift. Writing helps slow reality down so you can enact that process a little more deliberately in life. It’s like training wheels for compassion.